So the Woolfs spent their days comfortably, with Virginia writing in her room or in the lodge, and entertaining many of their Bloomsbury friends, while Leonard became an expert gardener. Virginia often commented the garden was the third person in their marriage. For Leonard tending and developing the garden was totally absorbing. 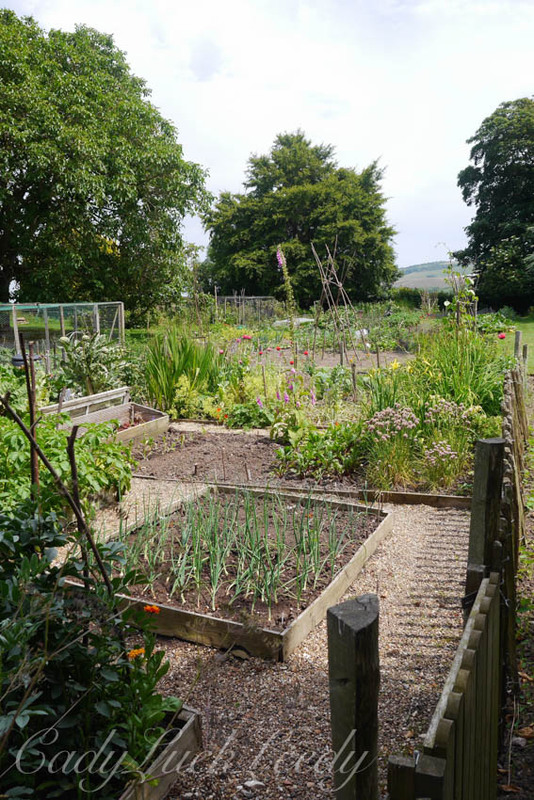 Virginia found peace and tranquility in the garden which helped her mental state of mind, and walking to her lodge every morning was part of her creative routine. 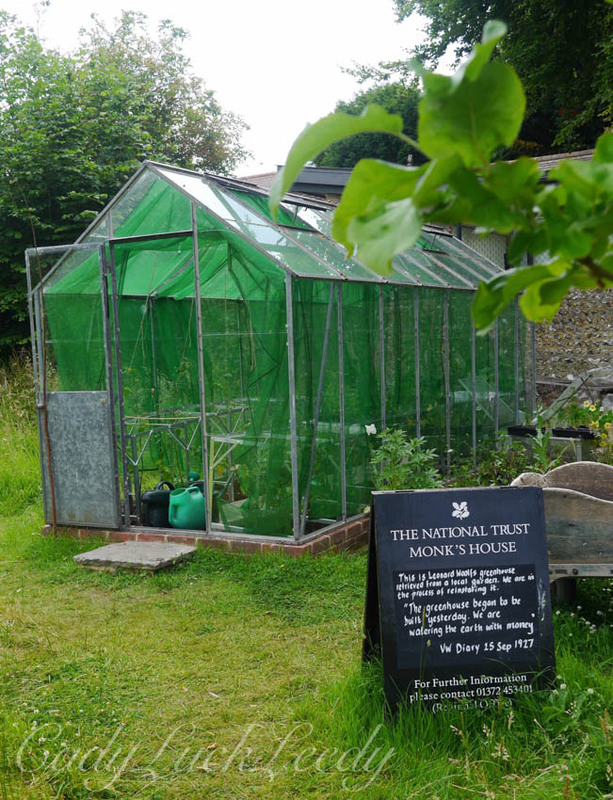 The vegetable garden was so productive, that when the Woolfs were in London they would have a hamper sent to them every week to keep them supplied. The excess produce was sent to the Women’s Institute market. Home Fires on BBC’s Masterpiece Theatre is a good start to learning about the Women’s Institute and a very good movie about how one of the women’s group chose to raise money is portrayed in Calendar Girls. It is one of my favorite movies! 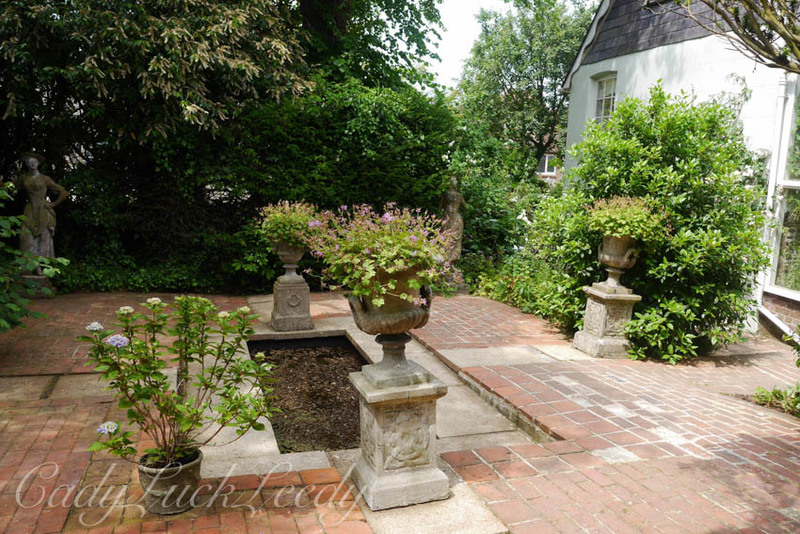 In 1933, following the publication of Flush (Virginia’s biography of Elizabeth Barrett Browning’s cocker spaniel named Flush) they were able to make additions to their garden. 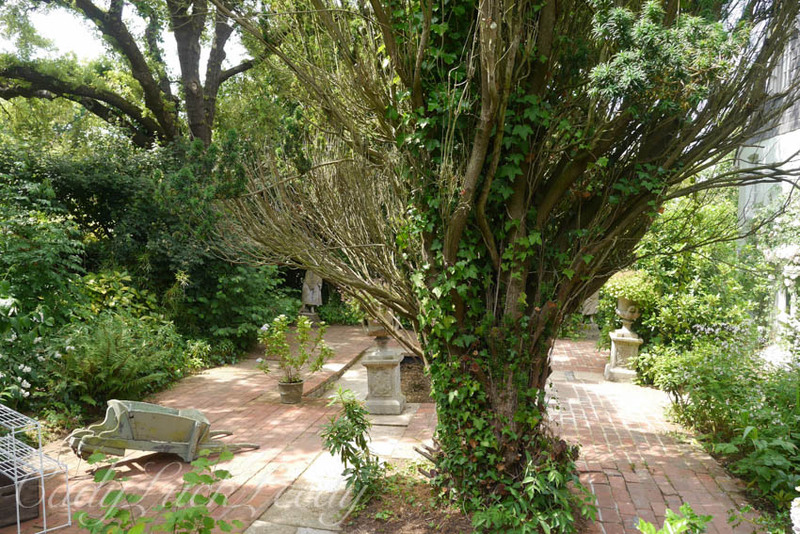 Upon returning from a trip to Tuscany in the same year, work started on an Italian garden by adding plants, pavings and walkways to various parts of the garden. 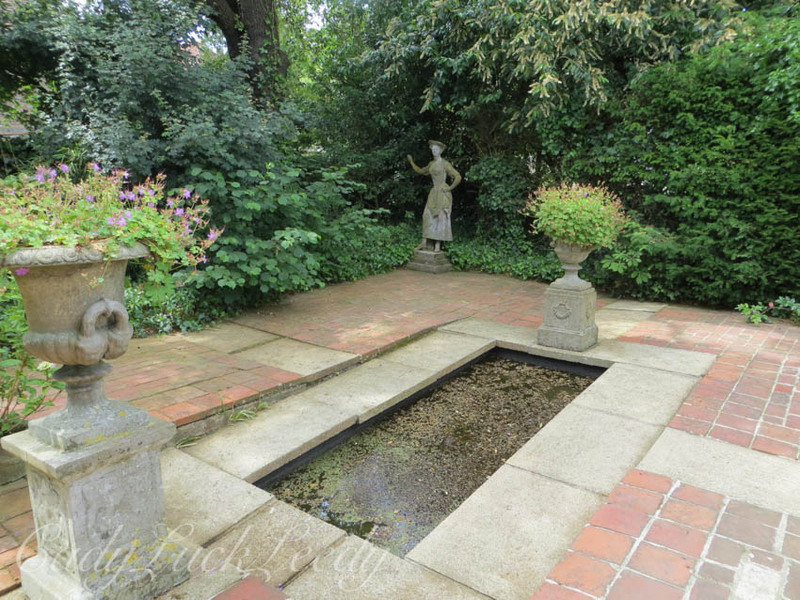 Virginia’s contribution was to buy pots, urns, and a statue. 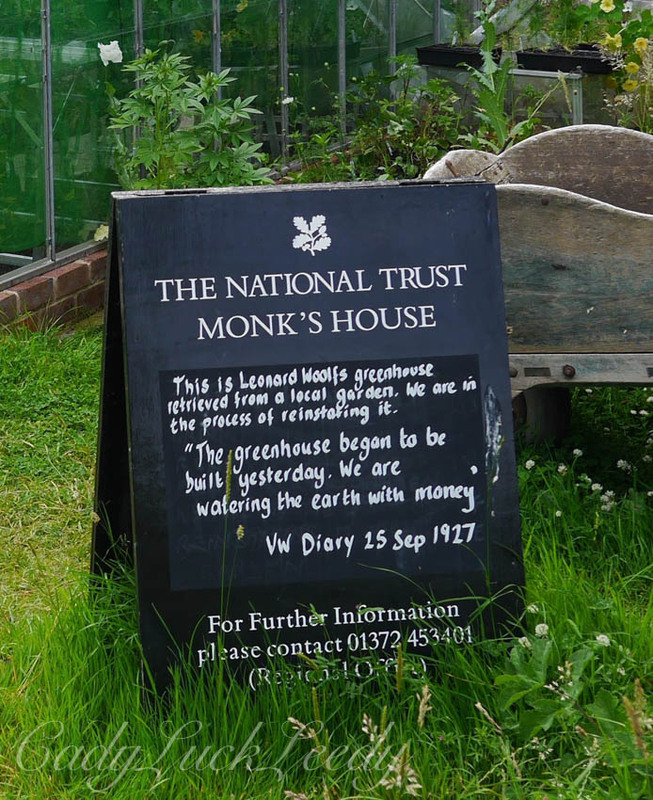 Eventually as the garden grew Leonard employed a gardener, Percy Bartholomew, who would live in one of the cottages near the property that the Woolfs had bought when they purchased Monk’s House. 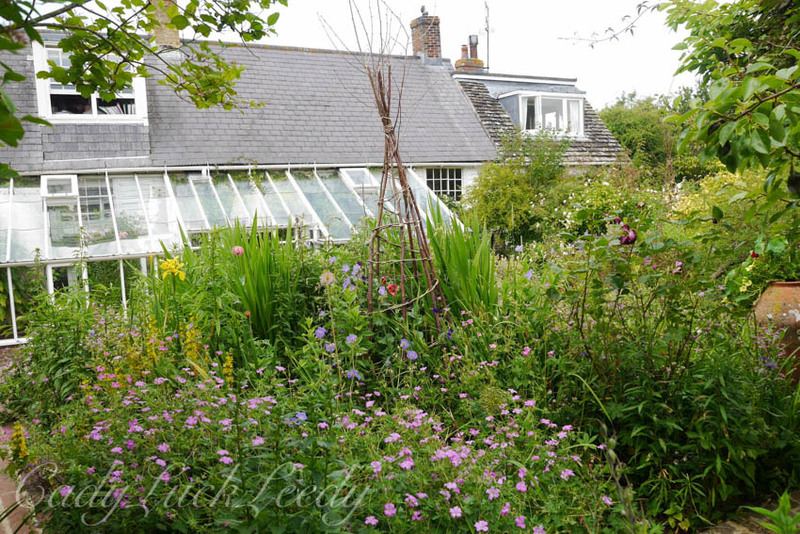 Although their garden was small and unpretentious compared to that of some of their friends, notably Vita Sackville-West, the delightfully small, informal garden is what made it so special. Leonard was so engrossed in gardening that in 1941 he founded the Rodmell Horticultural Society. I wondered if it included everyone in the village, because it is a very small place! Maybe it was his Bloomsbury Group! Next we”ll explore the village of Rodmell so you can see for yourselves! See you there! 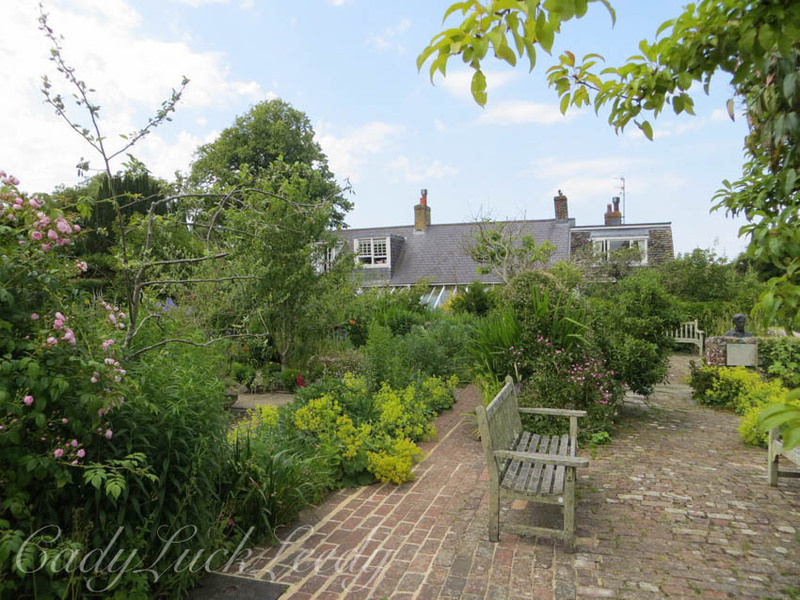 Virginia had a bit of cheek suggesting the garden could be a third person in their marriage – I’m sure her husband felt the same about her writing! Yep but she paid the bills, ha ha!